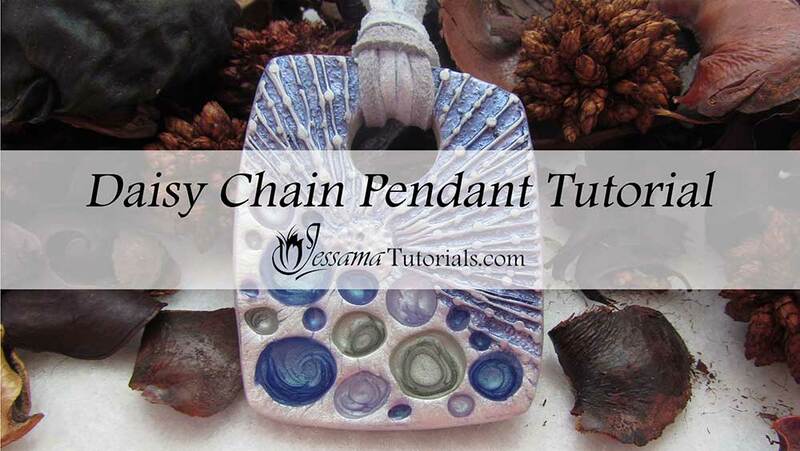 In this polymer clay project, I'll show you how to make a textured polymer clay pendant, with small bezels that we will fill with Pebeo paints and resin. I'll share some tips on how to manipulate the paint in small spaces and how to fill the small spaces with resin without it running over. 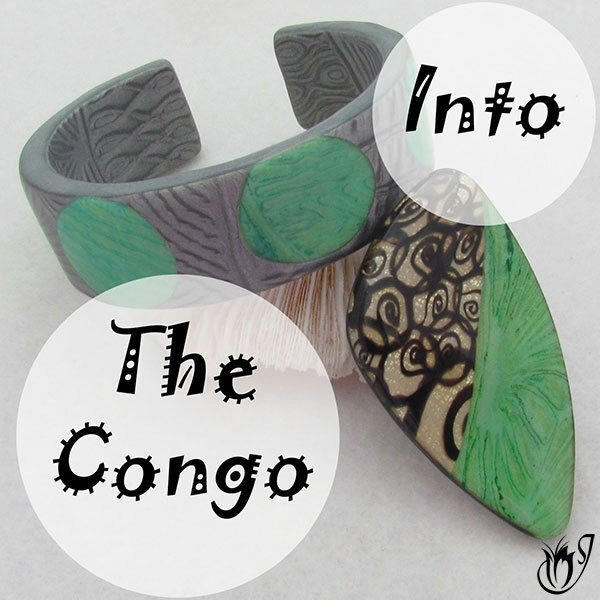 You can adapt the project to create many different pieces. Just change up the shape, texture, colors or all three. 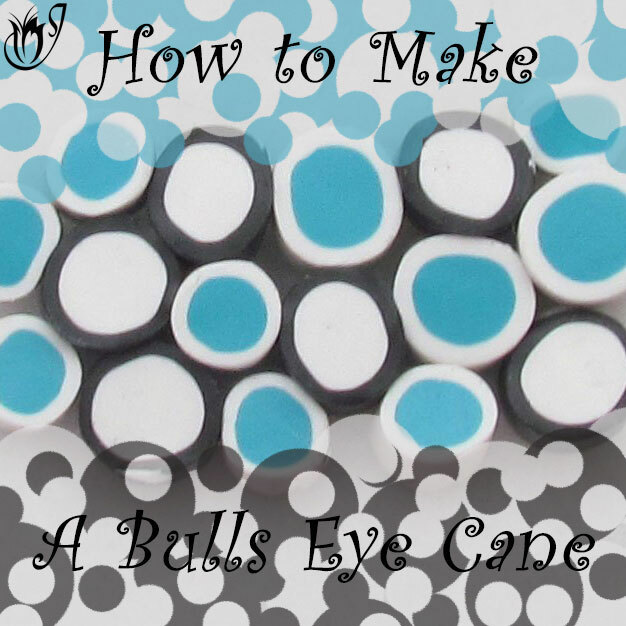 This is a very versatile polymer clay project, using a combination of basic techniques. Perfect for beginners. To start with, you will need a sheet of pearl white Premo rolled out on the thickest setting of your pasta machine. Spray your texture with water. Lay your sheet of clay over the top and spray the clay with water. Work the clay into the stamp with your fingertips starting from one side of the stamp to the other. Smooth the clay with your fingers and then release from the stamp. Dry up all the water from your work surface and your clay. Lay your clay sheet texture side up on the work surface. Choose the part of the stamped clay where you want to add your Pebeo paints, and smooth it out with a large ball tool. Use your small circle cutters to cut different sized holes out of the smoothed part of your pendant. Roll a piece of pearl white Premo through the second thinnest setting of your pasta machine, and lay your textured piece over it. Trim around the edges and smooth out the seams. Use a blunt tool to distort the circle shapes slightly. Create a second textured sheet for the back of the pendant using a sheet rolled through on the middle setting of the pasta machine. 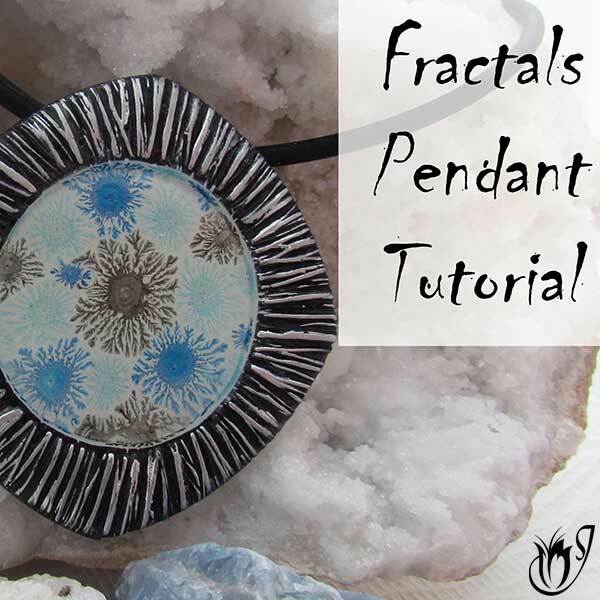 Place it pattern side down on your work surface and lay the pendant front over it. Trim up the edges and smooth out the seam. 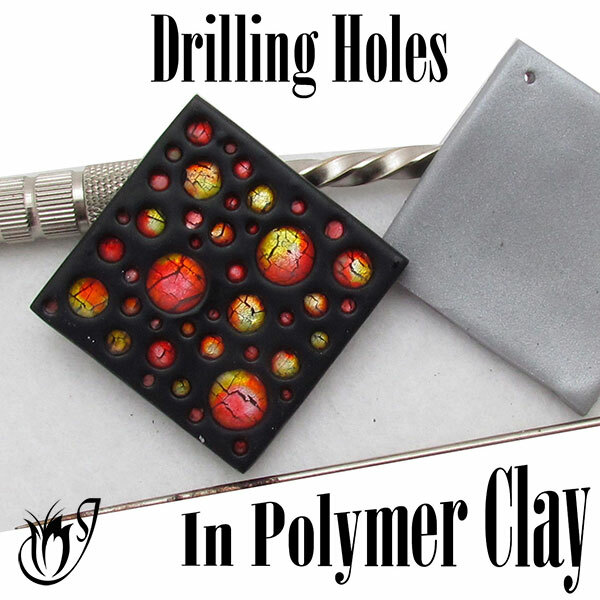 Use a small circle cutter to cut a hole from the top center to create a donut pendant. Use a small ball tool to smooth out the bezel circles. Bake for a full hour at Premo's recommended temperature. Finish off the sides of the pendant using the Jessama Smear technique. Once cooled, antique your texture using paint colors of your choice. I'm using Dazzling Metallics Ice Blue, Purple Pearl and Black Pearl. Brush the paint lightly into the gaps of your texture on the front and back of the pendant. Use a wet wipe to gently wipe the surface paint away. Bake for about 15 minutes to set the paint. Mix the paints well before you use them and drip them in using the end of a skewer. Leave the paint until it's tacky and then swirl it using a pin to add interest to the cells. Leave the Pebeo paint to cure for around 6 weeks. Using the pointy end of a skewer, add Ice Resin to the cells over the Pebeo paint. I'm using the Ice Resin plunger to avoid problems with measuring. Make sure to mix the resin thoroughly before using. See the video for more detail. Allow the resin to cure for about 24 hours. String two lines of suede through the top hole as per the instructions on the video. Line the suede pieces up and trim them to the same length. Add a crimp end on either end. Use a jump ring to add the pieces of the clasp to either side. And that's how to make the Daisy Chain polymer clay project! I hope you enjoyed that tutorial.